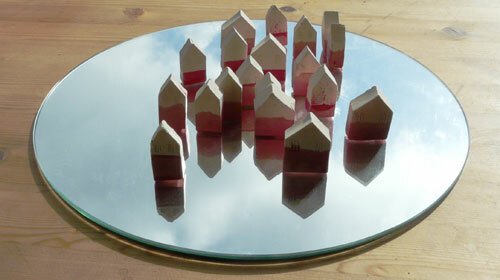 19 ceramic house forms, red wax and circular mirror. 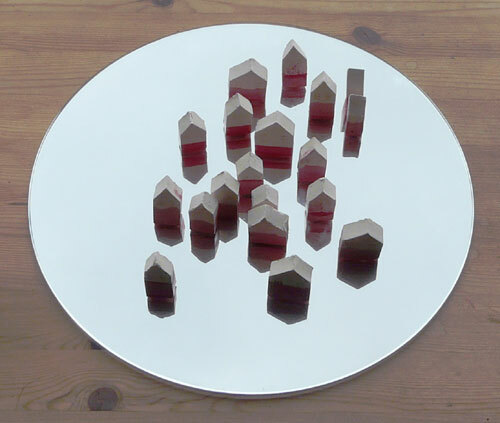 33 x 33 x 5 cm. The wax markings are ambiguous. of a common past event witnessed by this community.